2. A photo journal entry…show us what winter looks like in your town. 4. Write a blog post inspired by the word: shocked. 5. Take a look at your archives, what were you blogging about in a previous year at this time? What has changed? 6. List 8 solutions for bored children. 7. Write about something funny a sibling said to you. I've been a Julie Lessman junkie for years. 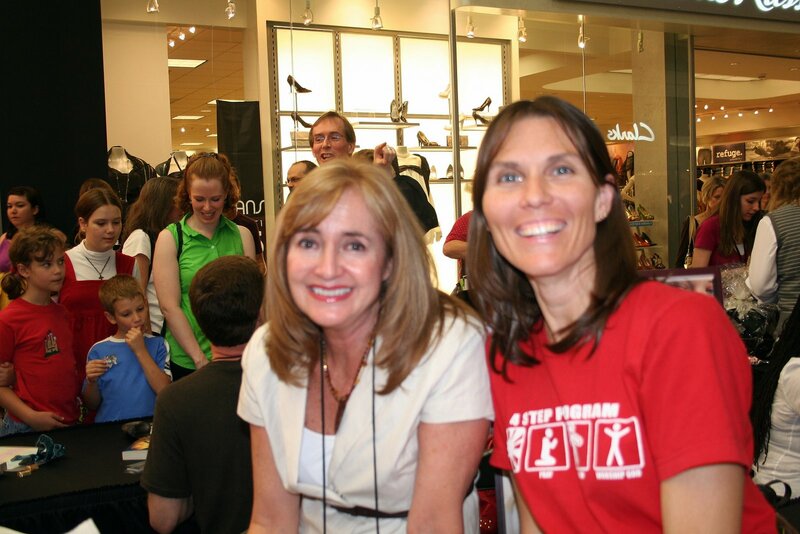 I even met her back in 2008 when she was with a group of authors at the Mall of America! Totally bragging here. Don't judge the quality or lack thereof, with this photo. Ok, focus Mimi! Book review. I'm used to reading Julie's historical fiction. When this book became available right before Christmas, I snatched it up. I was excited to read something modern from her. She stole his heart. He stole her peace. Can hope steal their pain? At the age of eighteen, Lacey Carmichael was a wild girl bent on fun, promised to Jack O'Bryen, a straight-and-narrow pastor’s kid bent on the seminary. When her father kicks her out of the house, she runs away from Isle of Hope, turning her back on everything she loves. Now, eight years later, she’s back as a woman of faith, hoping to make amends to the father she defied, the boyfriend she deserted, and the best friend she denied. Only the bridges she’s burned are still smoldering, kindled by an adulterous affair by Jack’s pastor father that damaged his son’s faith. But can a turning of tables—and hearts—lead the way back to “hope” for them all? One of the things I love about Julie's writing, is I feel like I know the characters as soon as I start reading. Lacey ends up back home, which is where she has to face the people who have all pretty much turned their backs on her. I immediately felt for her. You know she's going to have to face these people in humility, and it's not going to be pretty. At one point during my reading, I commented to Julie on Facebook, that I'm used to parents in a book being MY parents ages. This time, I was reading about parents who are MY age. It was such a hard frame of mind to get into. I've become THAT segment. lol What I did enjoy is that I could picture them with better clarity, understanding where they were in life. It's an interesting transition as a reader. The one character that I struggled with, which was a good thing, was Lacey's dad. He was such a pain in the neck. As we learn more about him, we understand why. I still was very frustrated with him for a good portion of the book. I really enjoyed watching Lacey's process of reconciliation with the people she had known and loved before she ran away. As always, there's passion and romance, but it's done in such a way that we know the characters desire to honor the Lord. I'm always thankful how Julie never takes it too far. She makes her characters very human. She also makes sure to keep faith the main reason for her stories. Forgiveness is something we all need to extend. Healing comes from giving and receiving forgiveness. Jack's mom is probably my favorite character in the whole book. She loves on everyone, even when she's struggling herself. 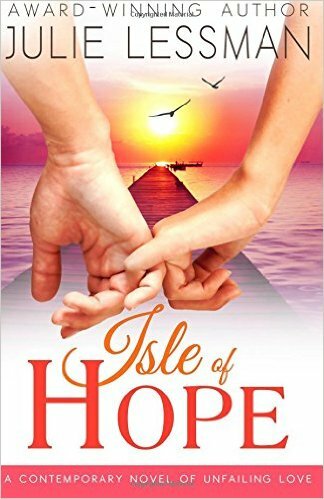 Isle of Hope should make its way onto your bookshelf sooner than later! Ooh sounds like a great premise for a book! I've never heard of this author. I'll need to check her out!